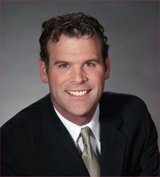 Baird made the comments in light of his government’s recent offer of up to $550 million for infrastructure work on the American side of the proposed new crossing. The money would not go for actual bridge construction, which would be covered by a public-private-partnership (P3). The Michigan Senate still has to vote on whether to agree to a P3 after the state’s lower house narrowly passed such legislation this week. Baird’s answer might seem surprising because his government is the most right-wing of all political parties in Parliament and often positions itself as a strong defender of private enterprise. Baird also said the government has no intention of purchasing the Ambassador Bridge. The government reportedly was in talks last year to purchase the bridge but discussions broke off because the two sides were far apart on the bridge’s value. Baird’s remarks seem to wipe the government’s hands of any further financial dealings with the bridge company. Meanwhile the minister has been applying a full court press to get Michigan to approve the P3. Besides the $550 million offer in late April he travelled to Detroit last week to pitch DRIC to a business audience, and was in Lansing this week to meet with state legislators. The $550 million would be repaid to Canada from DRIC toll revenues. But in Ottawa this week Baird also downplayed expectations Canada would be successful in getting Michigan to vote in favour of the project, hinting the Maroun family’s lobbying efforts might be more formidable than originally thought. The family owns the Ambassador Bridge.